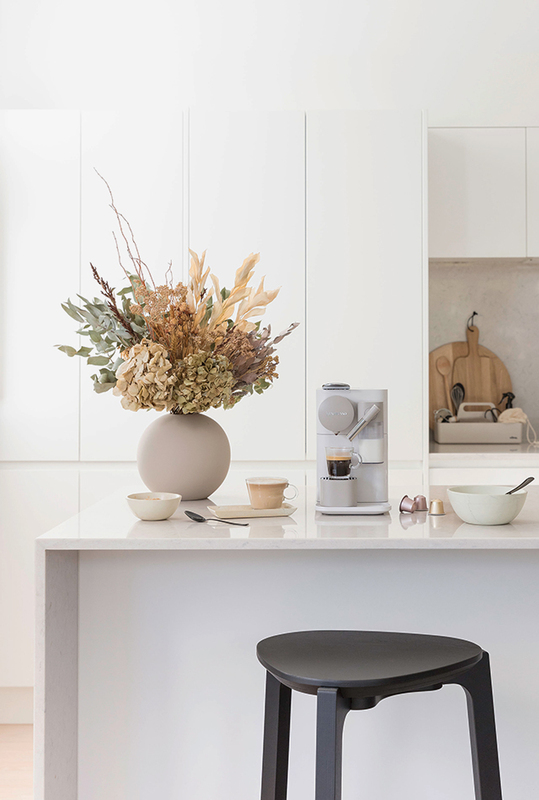 In collaboration with Nespresso and Homestyle I've been trialling the new Nespresso Lattissima One machine by De'Longhi. 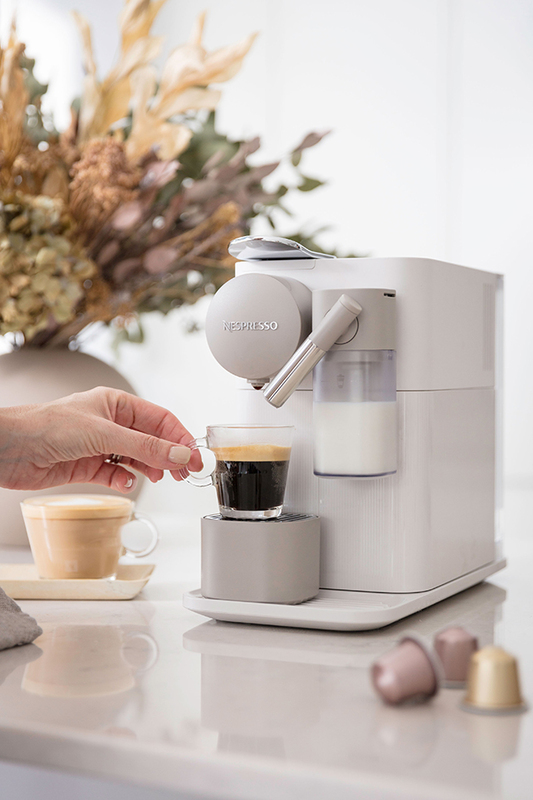 Whether I'm savouring a coffee on the weekends, or requiring an intense and super fast coffee during the week, this is the perfect machine to prepare my favourite morning coffee at home. Specially designed for a single serving, this machine is compact, convenient and easy to use. 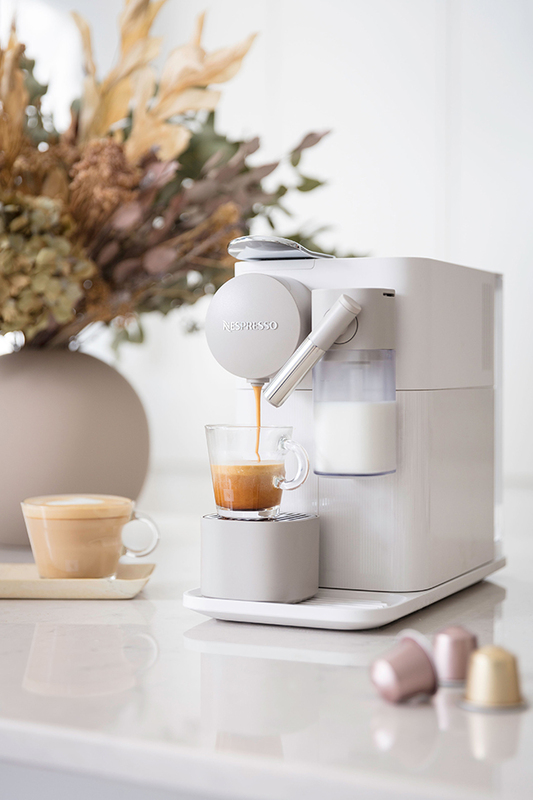 I typically enjoy my coffees with just a splash of milk – preferably a piccolo – but it's fantastic to know that the machine uses all of the milk in the container so there's no wastage. While I do like my coffees fast on busy weekday mornings, I like my surroundings to be tranquil and this machine has a very calming aesthetic. With a clean, matte finish, it's available in two gorgeous colourways - Silky White or Mocha Brown - both of which have a soft, muted look. The Silky White shown here looks right at home in my kitchen. 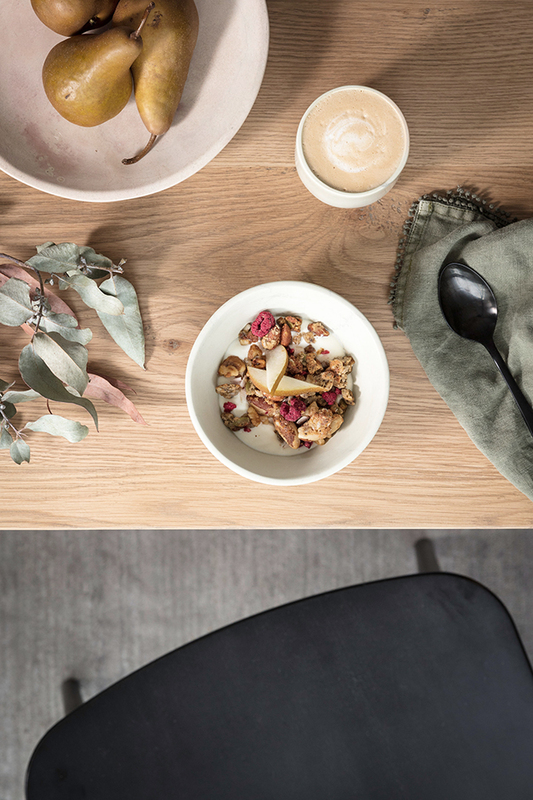 To create this morning scene I incorporated some warm, natural elements. 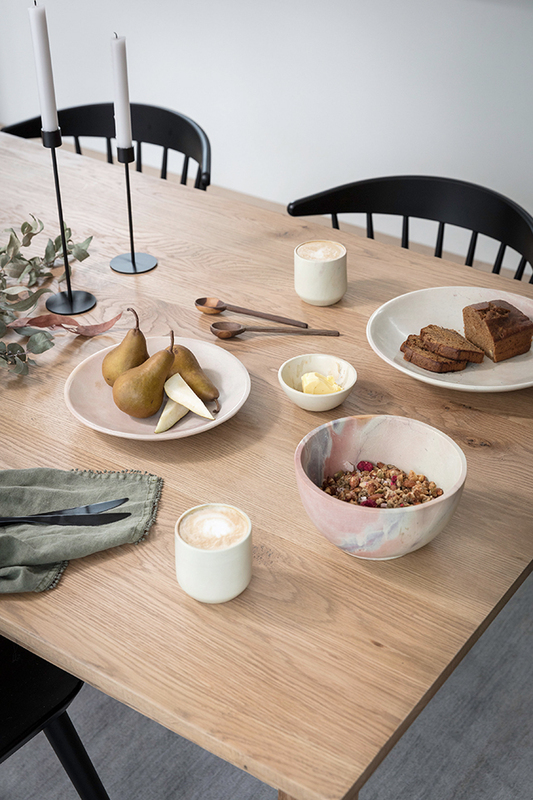 The handcrafted soapstone tableware, the sand coloured ceramic vase and beautiful bouquet of dried flowers compliment the colours of the machine while adding some texture to my all-white kitchen. Nespresso offers a wide range of coffees to perfectly match my morning mood and cherished rituals. I like to keep a selection on hand, with two of my morning favourites being the intense and creamy Arpeggio, and the long roasted and velvety Dharkan.